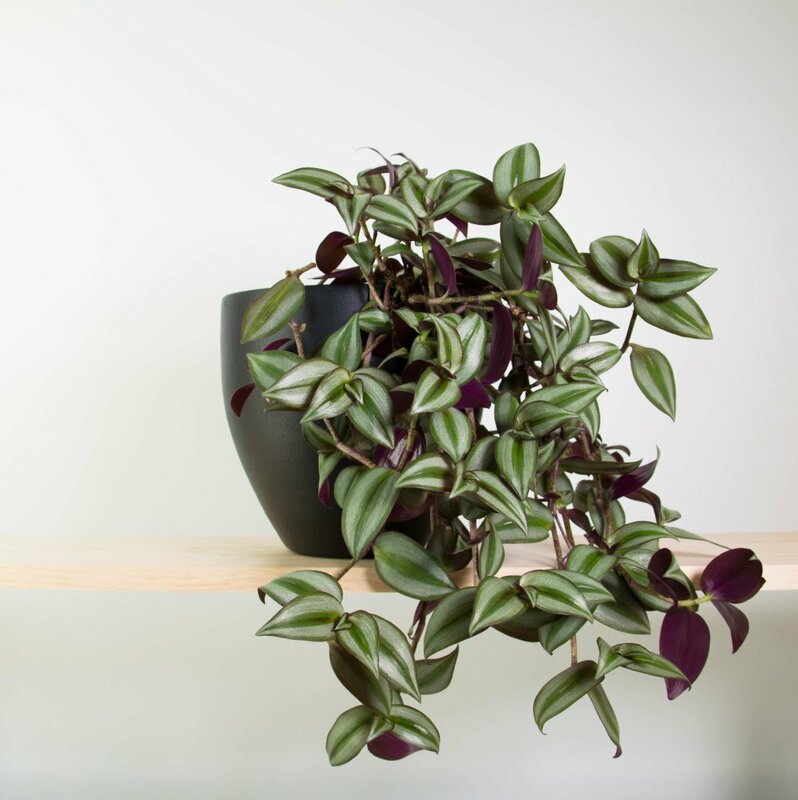 Tradescantia Zebrina is a beautiful and unusual trailing indoor plant. The topside of the leaves have variegated green stripes, while the underside of the leaves are purple. This plant likes bright indirect light and moist soil. We’ve designed this plant and pot duo to be position on a shelf or sideboard, with the foliage trailing to one side. Plant care note: Avoid watering the foliage. Fast growing Tradescantia Zebrina is a beautiful and unusual trailing indoor plant. The topside of the leaves have variegated green stripes, while the underside of the leaves are purple. This plant likes bright indirect light and moist soil. Avoid watering the foliage. Ensure the plant is kept moist but not wet. Supplied in a 17cm black plastic hanging plant pot with saucer. 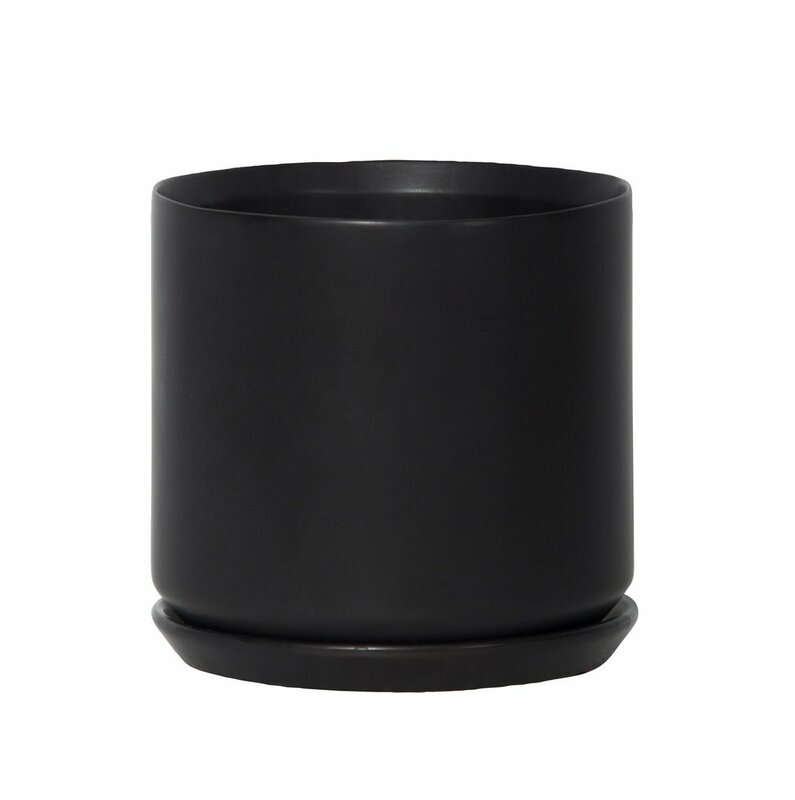 This beautiful black stoneware planter from General Eclectic is a lovely size for larger foliage plants.